Are you looking for an effective way to make profits from your business? Are you looking for a way to boost up your responses? Do you want to share your message with a wider audience? Do you genuinely wish to enhance credibility, profitability and visibility? We can help! Without saying a lot about the significance of marketing, you know that, marketing is the key to finding potential clients. 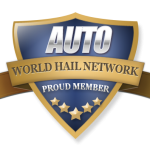 World Hail Network is a reliable and one-stop-shop for fast and accurate hail repair answers. We have the most captivating audience on the web when it comes to hail repair people. If you want to take your business to a next level, marketing on our website is a no-brainer. We believe marketing doesn’t have to be difficult, time-consuming or expensive – and we prove it to you with our 3 amazing packages (Basic, Pro, and Elite B2B Marketing packages) you’d be crazy to refuse. You will notice your business will have changed. Sales will become easier, profits will increase, margins will increase and cash flow will improve. Please take a look at the 3 different packages and choose the one that works best for you. It’s time to take your business to the NEXT level. Please note that if you are not a large-scale tool manufacturer and our pricing is not affordable for you, please contact us and we will help any way we can. B2B – The World Hail Network does Business to Business Marketing a little different. We believe that nobody wants to be sold anything, but we all like to buy when it makes sense. For this reason, we do not allow email marketing or phone solicitations or any direct methods that may be considered spam or unwanted solicitations. We hate them too. What we do to help B to B Marketing is to include the companies products or services where it naturally fits. For example, if someone is reading about slide hammers, we figure that they would like to see some options on where they can buy them as well as unbiased opinions about which one might be right for them. We feel that this method benefits the reader by not clobbering them with sales crap that they do not want to see as well as benefitting the business by only showing their stuff to people who may be ready to buy just what they are offering. This way we can also ensure that roofers are not seeing software or tools for vehicle repair and glass repair companies are not seeing ads for hammers. So please choose one of the 3 packages above or contact us for a trade or custom package. Thank you and we look forward to working together on your B2B marketing campaign and showcasing your hail repair products. Get Started Today!